Collect all the orders and reach 150000 points to complete the level. This level have normal difficulty and you need to use good trick to complete this level. For this level you should try to make colorbomb and break with blue candy if blue candy is not in corner of Odus owl moon. 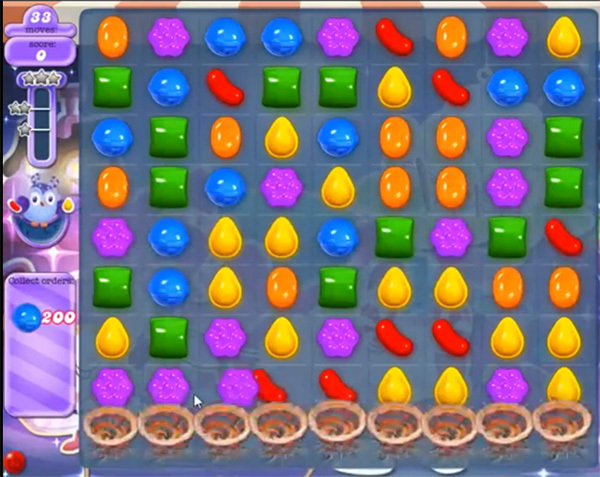 Or use special candies in moonstruck that you will get from 27 to 22, 16 and 5 to 0 moves remaining. Try to make more special candies and break them in moonstruck to reach the requirement easily with balancing the Odus owl.